Bollywood actor Saif Ali Khan has begun shooting for his next project, Jawaani Jaaneman. Pooja Bedi's daughter Alaia Furniturewalla will play Saif's onscreen daughter and will be making her debut in the industry with the film. Last year, the film’s producer Jay Shewakramani, in an Instagram, post announced that Saif’s production house Black Knight Films will be co-producing the project. 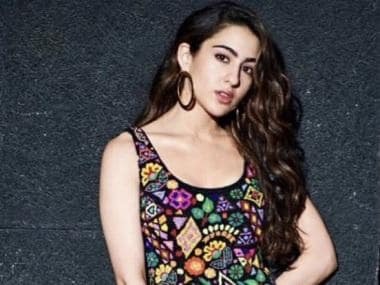 As the plot of the film is about a daughter and a father, there were talks about Sara Ali Khan essaying the role of Saif's daughter in the film. However, Saif has set the record straight by calling Alaia "perfect for the part". He said, “I would have loved to have Sara in Jawaani Jaaneman but that would have meant her choosing this film over everything else she's doing because we wanted this film to be the first film of the person we cast. I feel Sara's career graph and trajectory is in a good place and in a way I'm happy it's separate from mine at the moment. We are very excited to launch Alaia with this film and she is perfect for the part," reported Mumbai Mirror. Previously there were rumours of Saif playing a 50-year old casanova but he denied it calling the reports “rubbish”. According to report in Times Now the actor said, "the reports are ridiculous. I'm excited about producing the film with Jay because it's a team coming together to try and create a family comedy that's relevant. Jawaani Jaaneman is a modern slice of life movie that people will connect to on so many levels." On the work front, Saif is currently shooting for Om Raut’s directorial Tanhaji: The Unsung Hero alongside Ajay Devgn. The film is slated for a 10 January release next year.